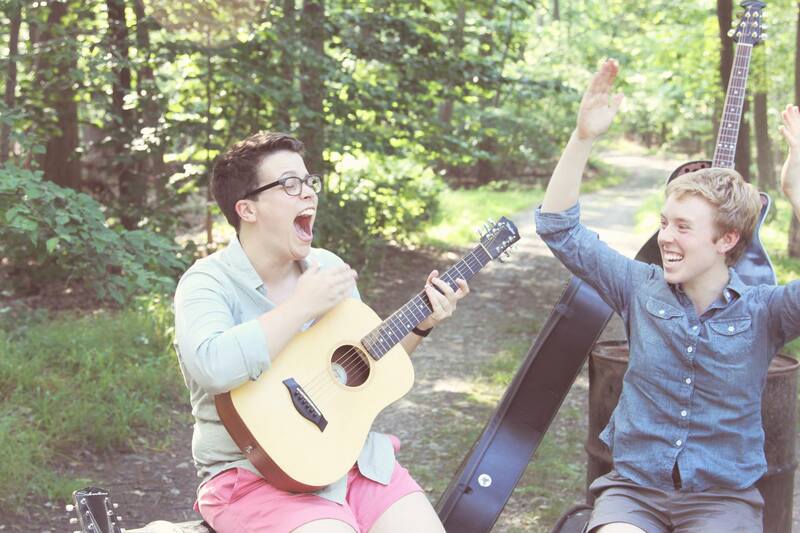 Hannah & Maggie are the cutest, most adorable baby dyke folk duo you’ve never heard of. Every once in awhile — not very often, mind you — I get bummed that I live on the West Coast. I was bummed after seeing the documentary Young @ Heart and finding out that their choir, while regularly touring Europe, hardly ever gets to California. And I was bummed when I was introduced to Hannah & Maggie, only to discover that they play a lot on the East Coast and pretty much never anywhere else. Do you ever have one of those days that just…transcends? It’s been a hard month. A death in the family, a deep rift with a close friend. And I still don’t know that many people in the community here (most of the ones I do know are ex-girlfriends). Sometimes I can feel pretty alone.